Collecting data is a process that organizations have to deal with every day. It can either hinder or promote goal/milestone achievement as a lot of time and energy may be spent on manual data entry, data analysis, technical issue resolution, data transfer and coordination among team members. Thankfully, there’s a solution to help solve these issues without making a huge dent in the company purse - Formplus, the simple but powerful online form solution. Formplus is simple enough to be used by just about anybody, as it requires little to no technical knowledge, and yet, it’s so powerful that it can handle form creation and data collection needs for companies thousands of employees and millions of respondents. For example, Go-Jek. Most times when people have technical issues with a software, they prefer to wade through it on their own. After they have done this for a few hours, they then send an email to the support team trying to explain their issues. At Formplus, the case is different because customers prefer to contact the Support team first whenever they have issues for a number of reasons. Major reason: Response time is really short - whether it’s holiday season or not, we try to keep it down to less than 2 hours. Another reason, the skill, and speed of the support team ensures that issues are resolved promptly and in the best way possible (If you’re wondering how we know this, we receive reviews at conferences, on Twitter, phone conversations, and by Email). Responses and files received with online forms created with Formplus can be viewed and managed with our cloud storage integrations. They help to pass on data in real-time and after the initial authorisation, you don’t have to do anything to make it work, it just works. When we say seamless, we mean seamless. How do these online forms work - you create a form to collect data, add a field or two and even throw in a file upload field, then you send out the form to be filled. Now, when the files begin to come in, there are 2 options, either you receive files in Google Drive or Dropbox or the files are stored in Formplus. Either way, you don’t pay extra, unless you max out your cloud storage space - it is free to receive files and folders via forms once you have an active Formplus or you are on the 14-day free trial. You can move replace your paper forms with digital forms. So many businesses still spend a lot of time and resources that could have been otherwise diverted to other things on paper-based processes like recruitments, registrations, trainings, evaluations and more. It has even been reported that the average office worker uses 10,000 sheets of paper in a year and 6800 of the 10000 sheets used are considered to be wasted. Imagine how much money can be saved by switching to paperless processes. Formplus allows individuals, departments, and companies to make the switch from paper to a simpler and more powerful form solution. Online forms created with Formplus are easily modified to fit business needs for example, Forms with E-signature capacities can be created to help with contracts if that’s what your business needs. This would take out the extra steps of having respondents print out forms, signing them and then scanning and sending them back to complete the process. Formplus integrations with payment processors like PayPal, Stripe, and Flutterwave make it super easy to collect online payments from anywhere in the world. With these payment integrations, you can collect donations for your non-profit, accept payments for event registrations, or even run an e-commerce store. And like the others, the payment integrations are free and simple to set-up and use. Unlike some other form builders, Formplus doesn’t require you to be a Developer to know how to use it and do a lot of great stuff with it. 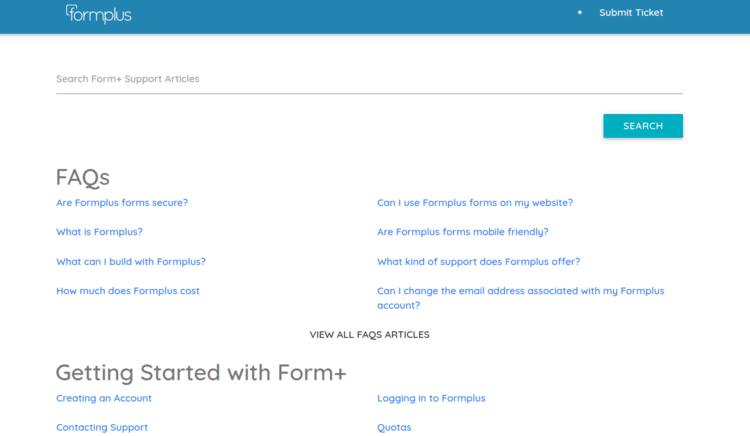 As much as Formplus is a simple and easy to use form builder, it is more powerful than that. There is the drag-and-drop interface, forms with multiple pages, forms that show/hide options based on your answers, forms that respondents can save and continue editing later and forms with reports. There is also the fact that there are numerous form templates that you can customize your form and add branding with logos and background images. The builder can be used by anybody as you don’t need to have a graphics designer to make a really beautiful form or a form that does exactly what you need. The Formplus team understands that Non-profit organizations and Educators face challenges with their budget and this may have a somewhat direct effect on the mission. We know that you are making a change in this world that we live in and that’s why we offer a 20% discount to all nonprofits and educational bodies. We believe that the features of our Form Builder will help to further your cause. In trying to reach the unreached, that is those without internet access, you have to find ingenious ways to manage your data collection. Data can be collected in areas with little to no internet access using Formplus offline forms feature. With this feature, you can collect data without an internet connection, and then sync it with your central database when you have a connection again. Formplus customers use Formplus forms to collect a variety of data, ranging from non-sensitive information to highly sensitive information like those shared in Payments. By default, we do not allow customer data access by external parties, even if the requester is crying wolf. With this we avoid the possibility of a privacy breach. Our security practices satisfy the EU’s General Data Protection Regulation (GDPR), and PCI DSS Level 1 Certification requirements. If you would prefer to control how your data is stored, we offer flexible storage options to accommodate users who choose not to store their data on our servers. If this is an option you will like to explore, contact Formplus support - support@formpl.us. 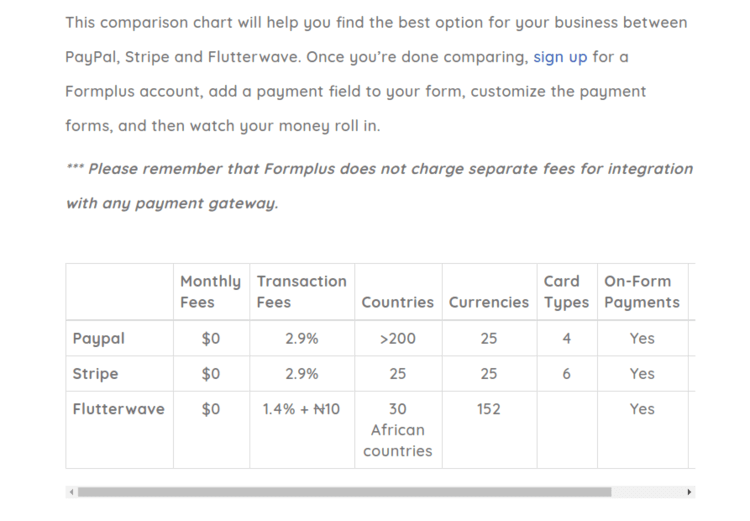 For a solution as robust as Formplus, the pricing plans are quite affordable as they offer great value at little cost. 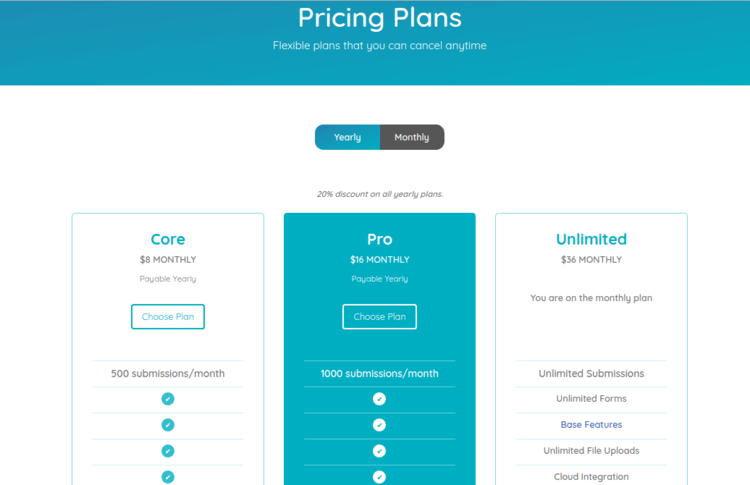 The plans begin at $10 per month with the Core plan offering 500 submissions per month among other features, the Pro plan costs $20 per month with 1000 submissions and the Unlimited plan goes for $45 per month with an unlimited number of responses. The number of responses is not the only distinguishing feature across the plans. To check out other features check the detailed pricing page. If you purchase a yearly plan, you get a 20% discount across all plans. Sign up now. For organizations of all sizes, Formplus helps to simplify administrative work so that more time can be diverted to other activities. 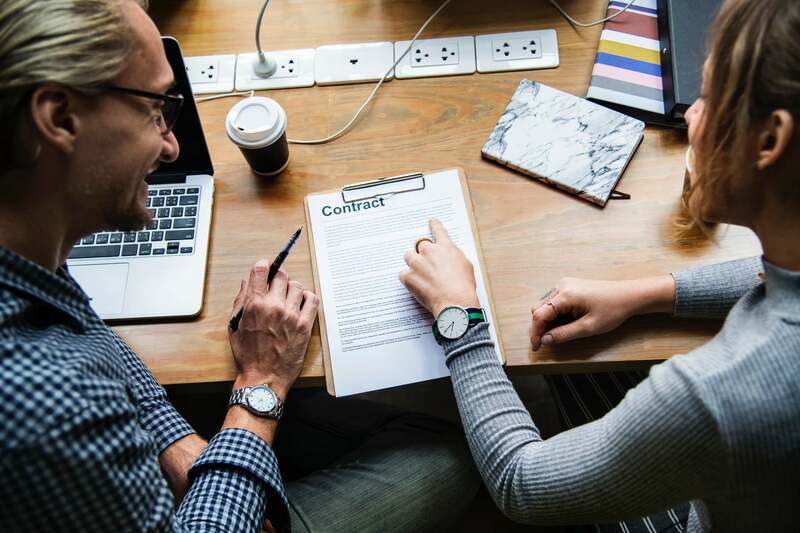 An example is seen in the COTSA use case, they use Formplus to streamline and improve their previously time-consuming conference application processes. You really don’t have to work with so much clutter - why go through the frustrations of endless email threads to complete really simple processes? No matter how large your company is or how many people are involved in a process, Formplus remains an excellent choice for collecting and integrating it with other systems you rely on. Start organizing and your work with digital forms today. Sign up for a free 21-day trial now.